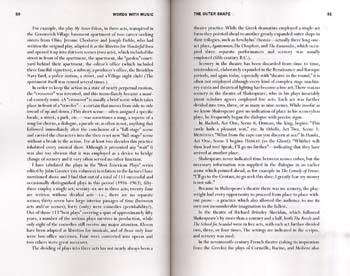 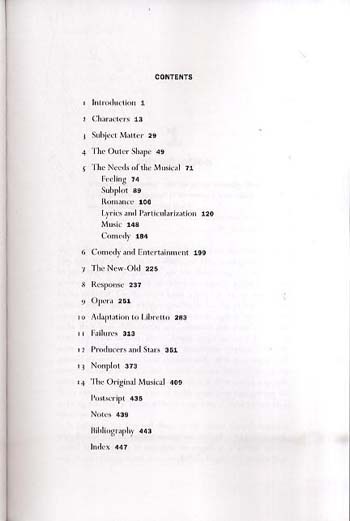 The dean of Broadway musical directors examines the dynamics of how the book music and lyrics work together to create such hits as EMy Fair LadyE EFiddler on the RoofE EGuys and DollsE EHairE EPal JoeyE EWest Side StoryE ECompanyE ESouth PacificE EThreepenny OperaE and EPorgy and BessE. 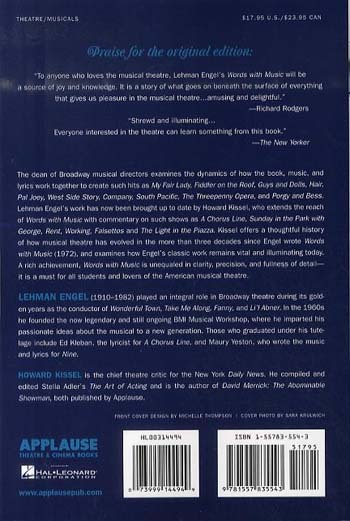 Howard Kissel chief theater critic for the ENew York Daily NewsE extends the reach of Engel's subjects by bringing them up to date with commentary on such shows as EA Chorus LineE ENineE ESunday in the Park with GeorgeE ERentE EWorkingE and EFalsettosE. 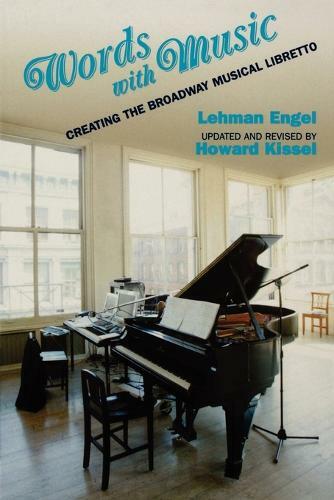 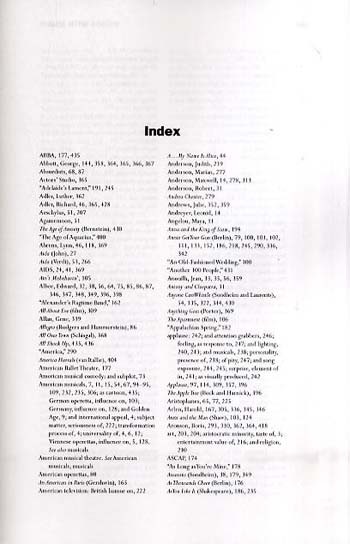 Kissel offers a thoughtful history on how musical theater has evolved in the three decades since Engel wrote EWords with MusicE (1972) and how Engel's classic work remains vital and illuminating today.